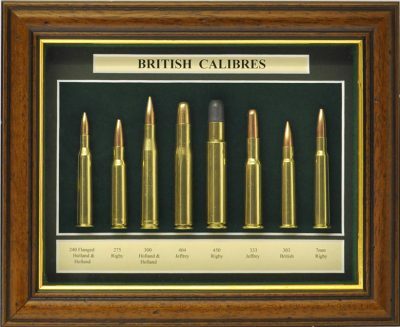 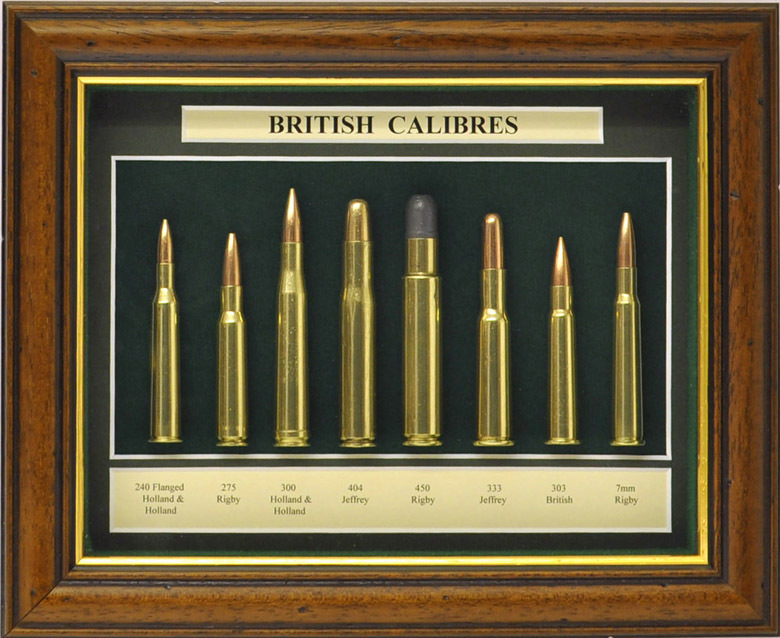 Containing rounds devised by British gun makers. 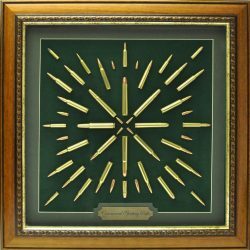 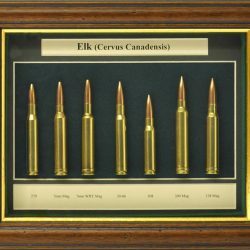 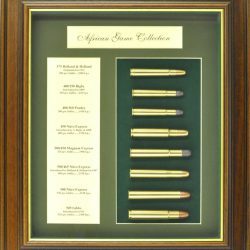 240 H&H, .275 Rigby, 300 H&H, 404 Jeffery, 450 Rigby, 333 Jeffery, 303& 6mm Rigby. 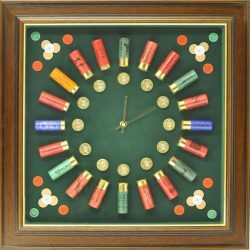 Housed in a 38mm antique frame, with bottle green mount and cream information blocks on green baize.